Last summer, I was hired to decorate for an Italian-themed bridal shower. You can catch up on post HERE. One of my favorite DIY projects for the bridal shower happens to be a project I will be sharing today. 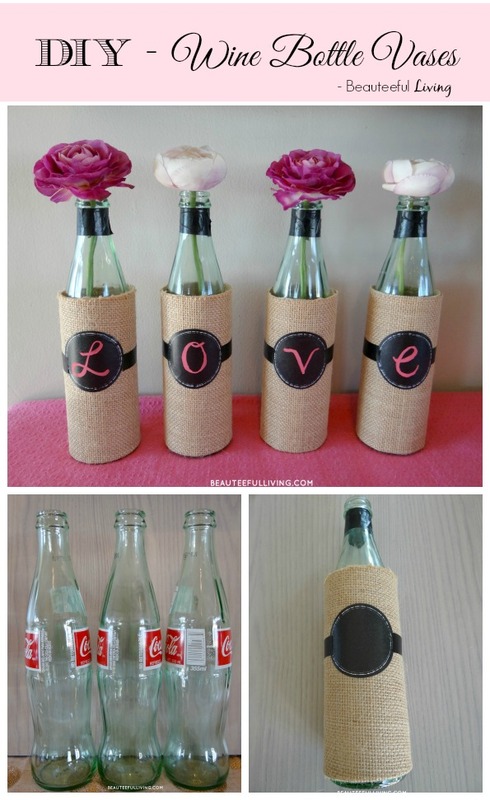 When I upcycled soda bottles into looking like wine bottle vases, I knew I had to recreate this project for Valentine’s Day! 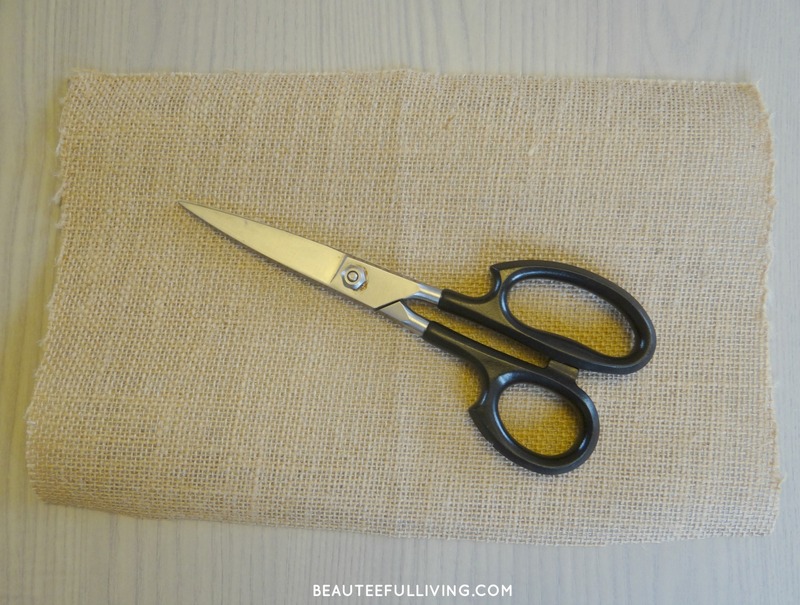 Step One – Unroll burlap. Measure 8.5 inches across and cut burlap. 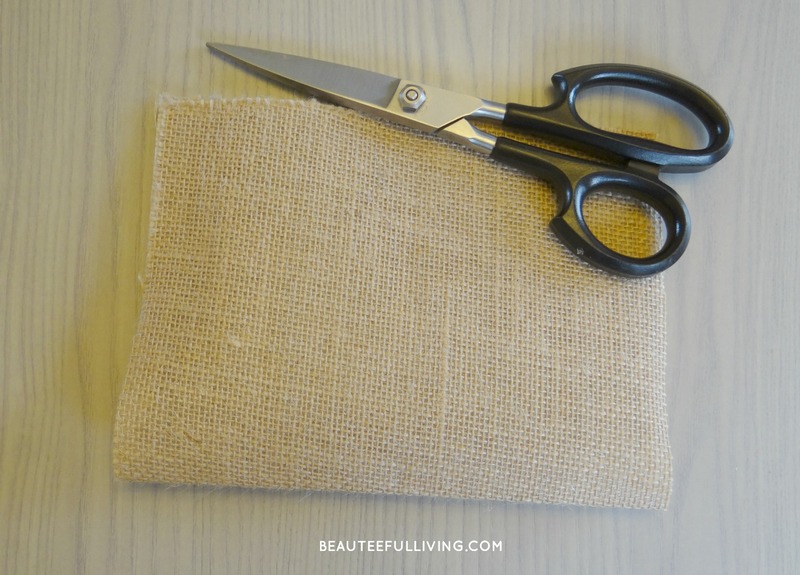 Step Two – Fold burlap piece in half. Set aside. 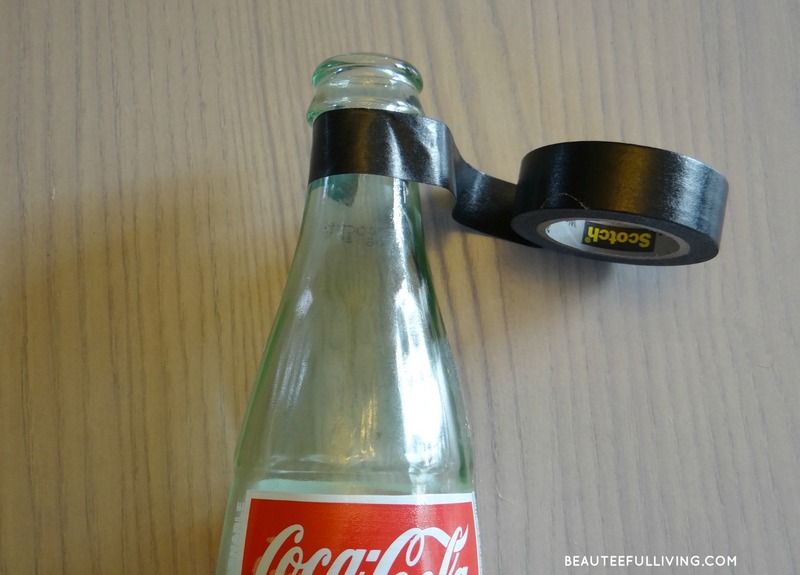 Step Three – Wrap Scotch tape over neck of bottle. Wrap second layer in mid-point of first layer. 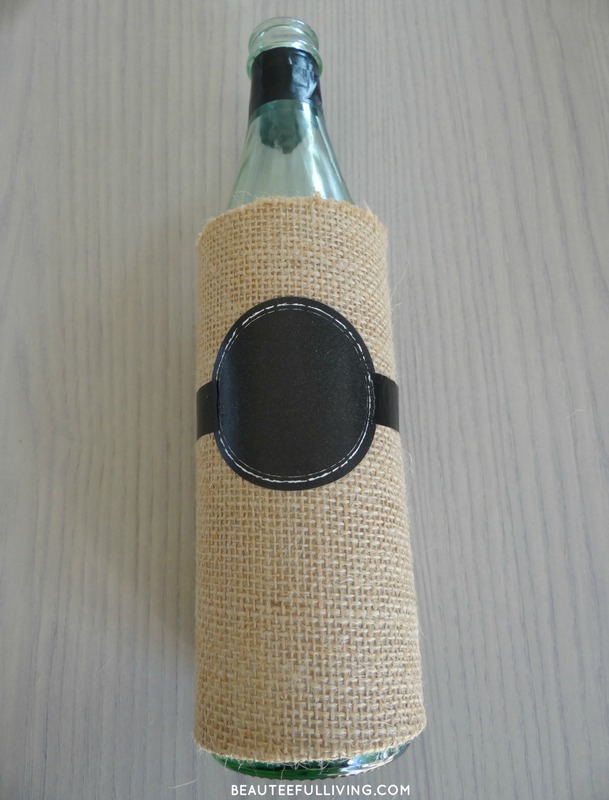 Step Four – Take burlap and wrap tightly around glass bottle. 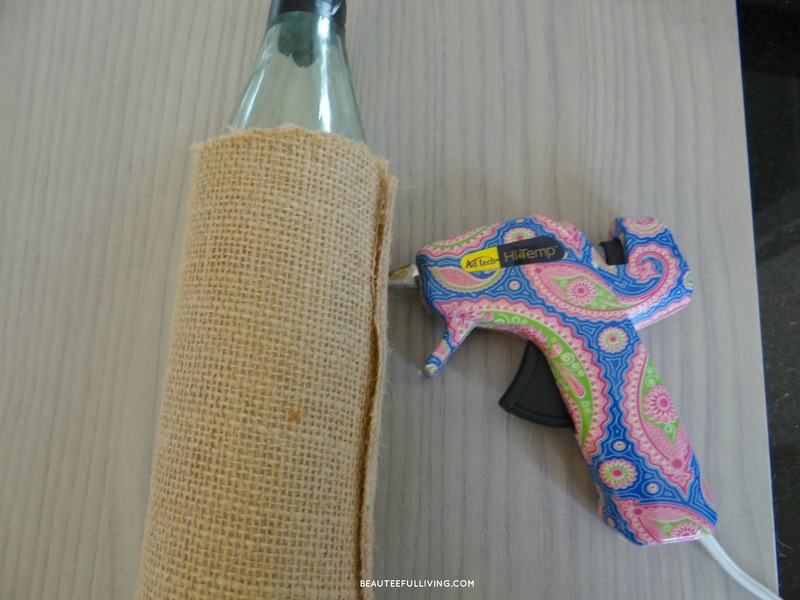 Step Five – Use glue gun and secure burlap so that fabric is snug around bottle. Step Six: Place round sticker (large size) into center and secure sticker by wrapping Scotch expressions tape around the sticker. Step Seven: Use red chalk marker and write each letter to spell out L–O–V–E. I actually like how the red chalk marker dries up hot pink! Like this project? Please PIN and share with others. Thanks a bunch! 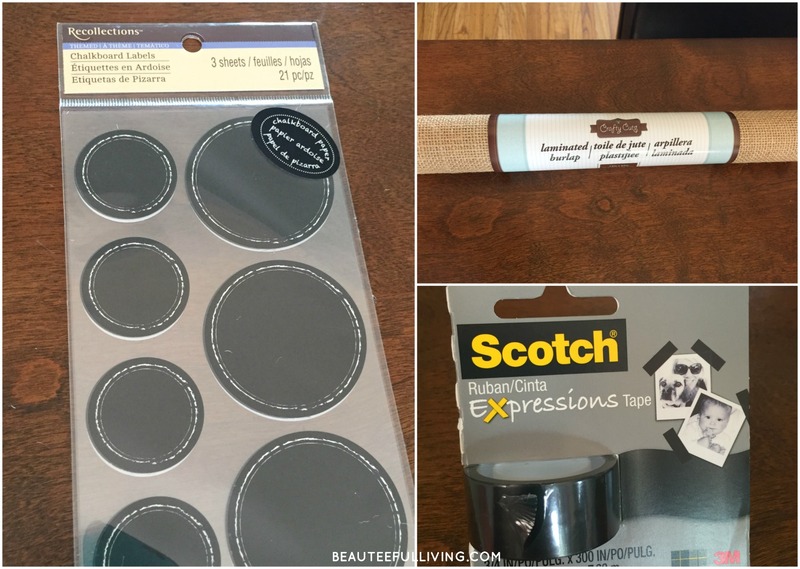 Don’t forget to check out these crafty projects from my blogging friends! Thank for reading! Xo, Tee. Those are adorable for Valentines Day and would make a great centerpiece for a dinner! Nice work! What a fun project!! Great idea! I need a glue gun! I keep seeing the cutest crafts and I don’t have one yet. I really love the mason jar one. My husband has a glue gun in his tool box, but I want a girlie one like yours! haha. I need a glue gun! I keep seeing the cutest crafts and I don’t have one yet. I really love the mason jar one. I loved this beautiful upcycle vase! Anything done with burlap automatically gives it a shabby chic feel to it. 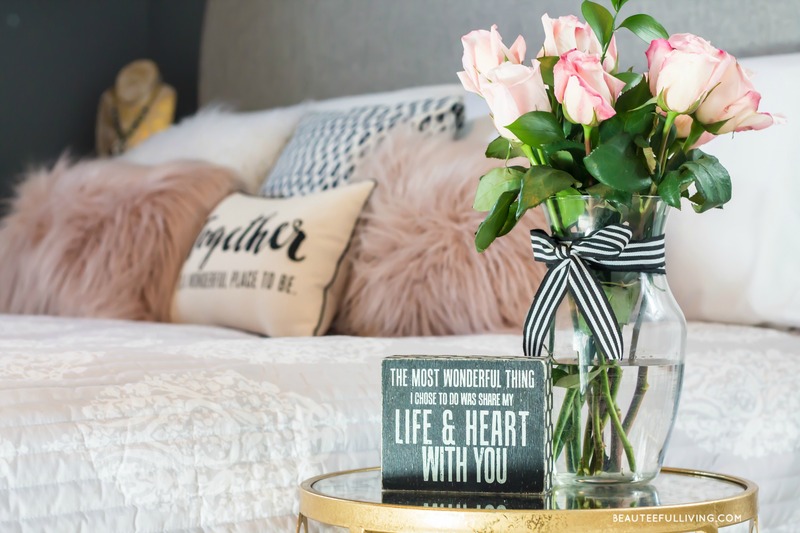 Looks easy and definitely a cute addition – would be nice for Vday decor! What a great idea for a craft!! It is elegant and beautiful without being over abundant! I love how simple it is to make! What a fun upcycle project! I love how the Coke bottles look they make me so classic and memories of back in the days! 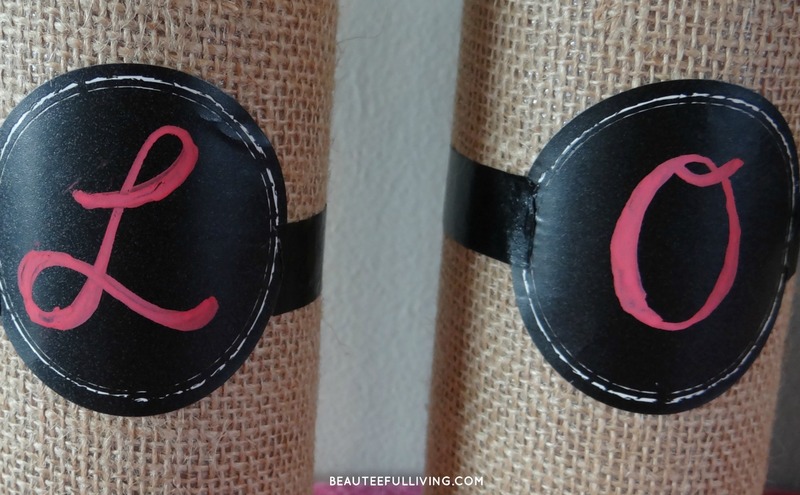 I love the touch of burlap and the stickers and how it came together to make this décor! This is such a cute idea Tee! I’ve never heard of laminated burlap but I like the clean sleek look of it. Pinning! 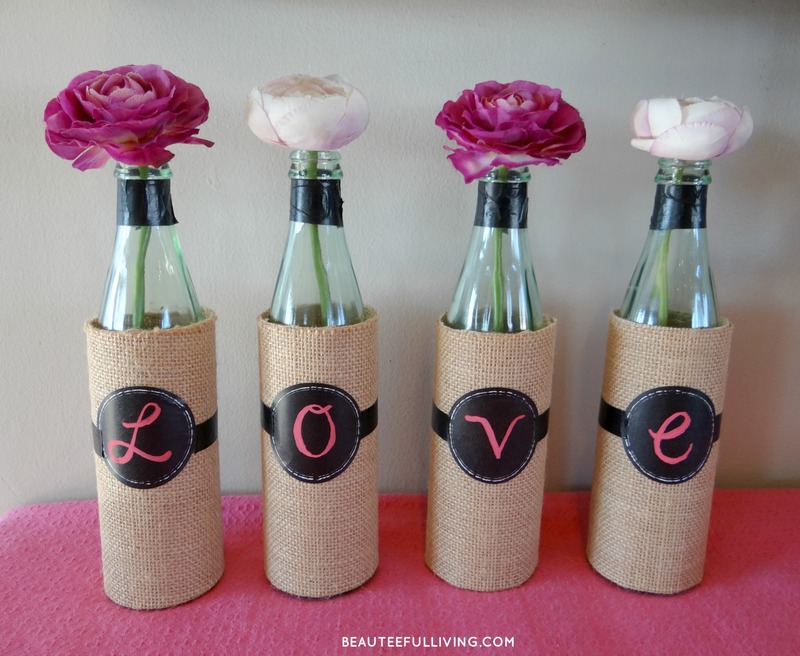 These wine bottle vases are such an incredibly cute DIY. My boys and I love to do crafts, but I am always looking for something pretty I can make for the house by myself with a bottle of wine. Now I just need to start drinking, ha ha! Happy Valentine’s Day to you and yours. These are super cute! I love vases but never seem to put them in house. Good reminder that I need to. Those look so great! I might have to try this because I really need more vases around the house. I bought myself flowers and ended up sticking them in a beer stein because I can’t find the vases. They’re probably packed up still from my move in July haha. This is such a cute idea! I didn’t know there was such a thing as laminated burlap, I’m sure that will come in handy for some future project! This DIY is so creative! Thank you for sharing! I live in the vicinity of the wineries in California and I regret now that I did not keep the wine bottles. Now I know to store some up and make really pretty bottle vases with them! Thank you for giving me that idea! 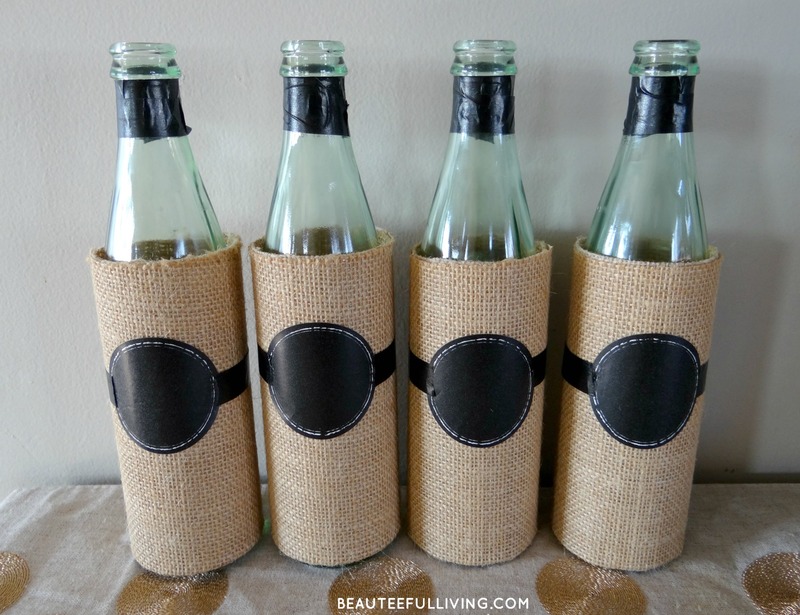 This is such a cute idea……love the burlap on the bottles. Sharing and pinning.